West Coast Outdoorsman is the ultimate stop for trip information. Want some inspiration for your next adventure? Look no further than the adventures pages of West Coast Outdoorsman. 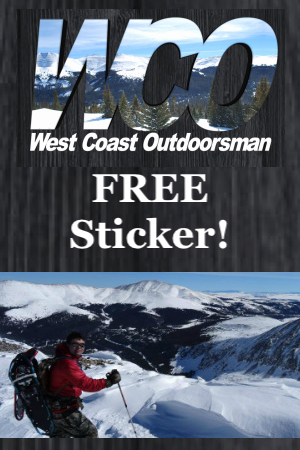 Click the “Snag This” link for a FREE “WCO” sticker! To buy other adventure gear, shop on Amazon.